I didn’t watch the stage this AM, but I just watched it. Looks as though Battaglin snatched the race from the tranquilo jaws of The Killer. I agree with Neal Rogers’ thinking that a DiLuca win would’ve been an embarrassment for cycling. However, it would’ve been totes Olympic-Vino hilarious. The current system allows and sets itself up for ridiculous situations such as this. As Battaglin crossed the line moments after Danilo was swallowed up in the finishing straight, a flash mob of race directors, sponsors, and governing bodies could be seen making the Sign of the Cross in unison. They finished the dance routine with the ever popular move: The Sweeping Under the Rug. 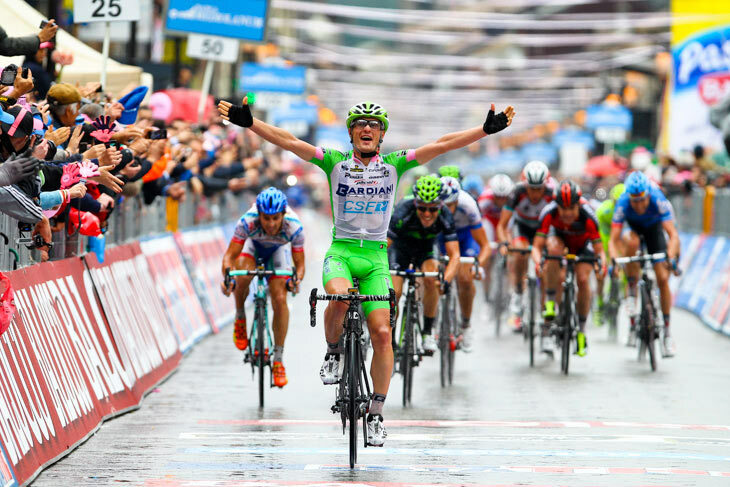 What’s awesome about a Pro Conti team winning a Grand Tour stage? They get STUPID excited about it. 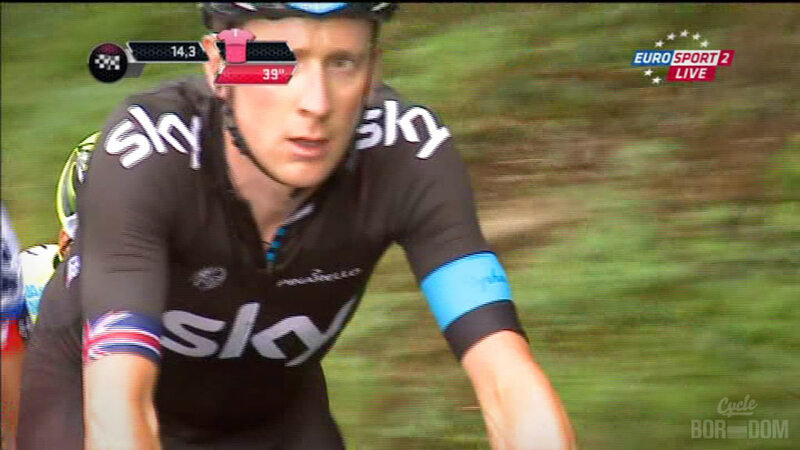 Homeboy (below) finishing in the bunch can barely contain himself. Homeboy also *looks* like a boy. 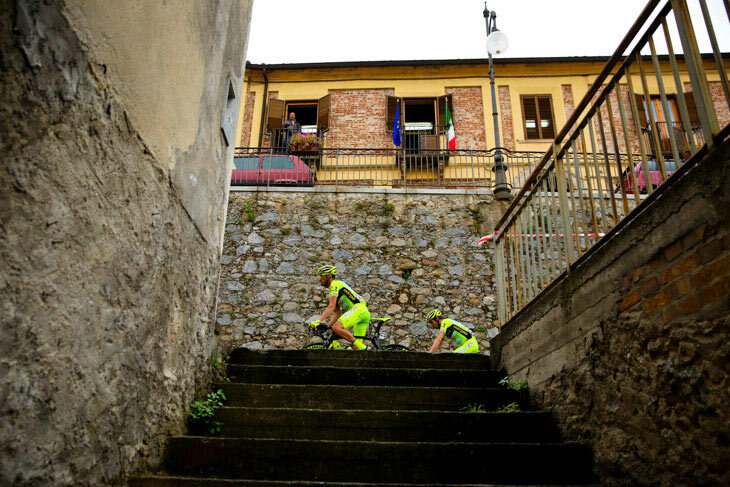 Aren’t there any child-labor laws in Italian cycling?! Considering I no watcha la tappa live, it’s virtually impossible to report on Twattle memes. Although, #marginallosses (@SonOfTheDude) was pretty stellar. 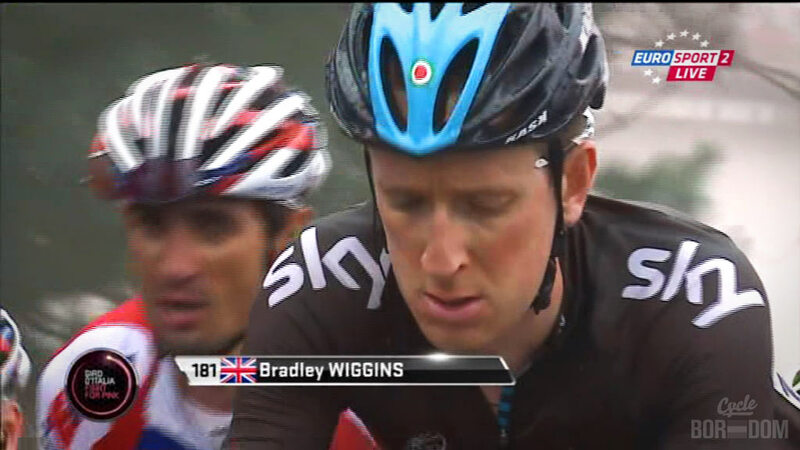 Speaking of Team Sky, let’s check in on Wiggo. 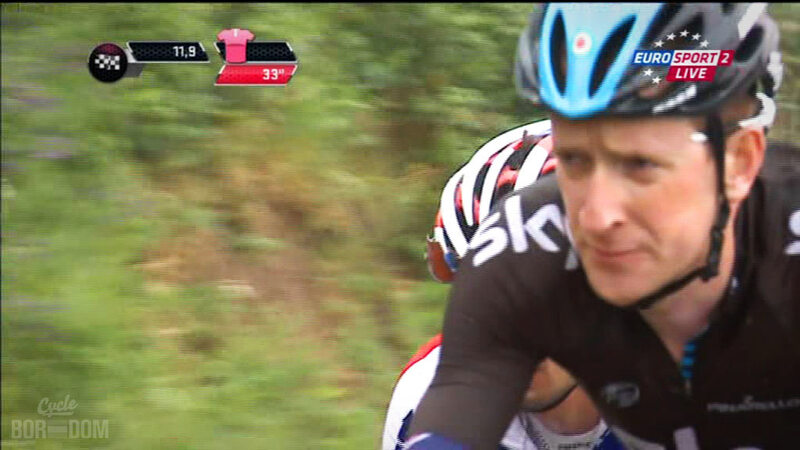 The attacking AG2R rider touched his bewbz moar timez than a stripper on a Saturday night. $40 gets you a private session in the champagne room (team bus). 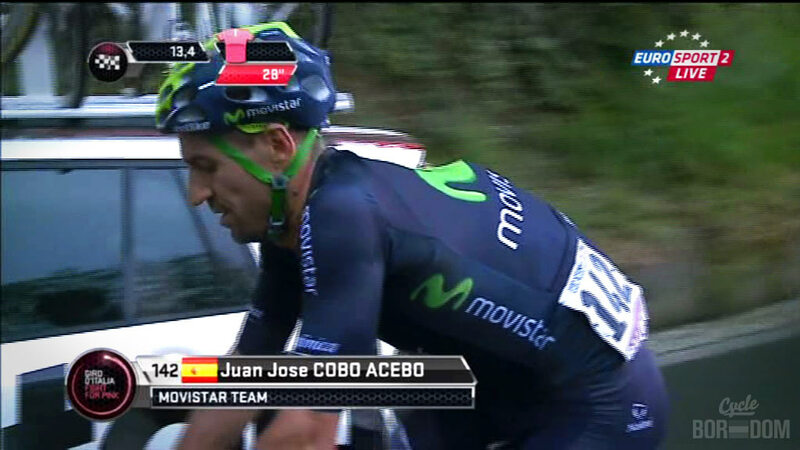 How did this guy even win a Vuelta? Oh, that’s right; #cleancycling.